Spring 2019 Limited Edition Beauty Boxes from Ulta, Sephora and Birchbox have arrived! I’ll also list the Fabfitfun sale and an update for the QVC beauty with benefits 2019 gift with purchase! Ulta has a new limited edition box: Ulta Beauty Pamper Yourself Bath & Body Must Haves $9.99. This post may contain affiliate links. Read the full disclosure. Hop on over Birchbox, the Birchbox Appreciation Day is available now! Plus, B-glowing September Beauty Bundle Spoilers, Beautyboutique Gift Bag and deals at Sephora and Ulta. Birchbox (NEW)(VERY HOT) Customer Appreciation Day 2018: $5 off or $10 off for Ace members + free shipping no minimum and no code needed!! See more benefits here. This post may contain affiliate links. Read the full disclosure. Happy Wednesday everyone! There is a lovely 12pc skincare freebie at Ulta Beauty, extremely hot Birchbox limited edition box and discovery kit with coupon and Bergdorf Goodman fall beauty event with new gift with purchase offers. Ulta (NEW)(Today only) 4-hour only: FREE 12 Pc Skincare Sampler with any $75 online purchase. Gift includes: This post may contain affiliate links. Read the full disclosure. There are new 7-piece gift with any $60 purchase at The Bay Canada. Plus, two nice Birchbox kits, and new beauty offers at Bergdorf Goodman, Bloomingdale’s and Sigma Beauty. The Bay Canada (Hudson’s Bay) (NEW) Choose your seven-piece gift featuring an exclusive bag with any $60+ Estee Lauder purchase. Over a $150 Value. This post may contain affiliate links. Read the full disclosure. I wanted to share with you these amazing beauty sale events at Cult Beauty, Birchbox, Anthropologie and Clinique. Plus, 12pc brush set gift at Elf, new beauty box at Style Korean, two limited edition box for £30 at Glossybox and more. Cult Beauty (NEW) Free worldwide shipping on make up! (NEW) Cult Beauty Summer Sale over 270 items from Becca, Anastasia Beverly Hills, Pixi, Lime Crime, BeautyBlender and more. This post may contain affiliate links. Read the full disclosure. There’s a nice sample bag at Riley Rose with any purchase! New Birchbox limited edition kit is so nice. Plus, new gift with purchase round-up! Riley Rose (NEW)(VERY HOT) Receive a free Mystery Sample Box that contains ten (10) samples with any purchase, ends May 28, 2018. While supplies last. This post may contain affiliate links. Read the full disclosure. Looking for an impressive Mother’s Day Beauty Gift Sets $15 – $79? Here’s the nice limited edition beauty boxes from Birchbox, NET-A-PORTER and Beauty Brands. Thanks our reader Alex for the awesome tip! Birchbox (NEW) Birchbox Limited Edition: How to Hygge $53 (A $180.00 value). Today only use code HYGGE to get 50 points ($5) on this box purchase. I haven’t seen any box that gets so many reviews this quick before! This post may contain affiliate links. Read the full disclosure. There are new fragrance sample gift with purchase at Nordstrom, new 8-pc beauty kit from Birchbox for $28 and Saks Fifth Avenue Cle de Peau Beaute concealer sample that you must see! NORDSTROM (NEW) Free 7-Piece Gift with your $50 Fragrance Purchase. Receive: This post may contain affiliate links. Read the full disclosure. Here’s the $10 Sephora Play! March Box Vs Birchbox March Box. Also, new Birchbox x Vogue Limited Edition Beauty Box Vs Sephora Favorites Kits + new promo codes! Birchbox (NEW) Limited Edition: Birchbox x Vogue: Transformation $68 (A $265 value). Each box contains: This post may contain affiliate links. Read the full disclosure. 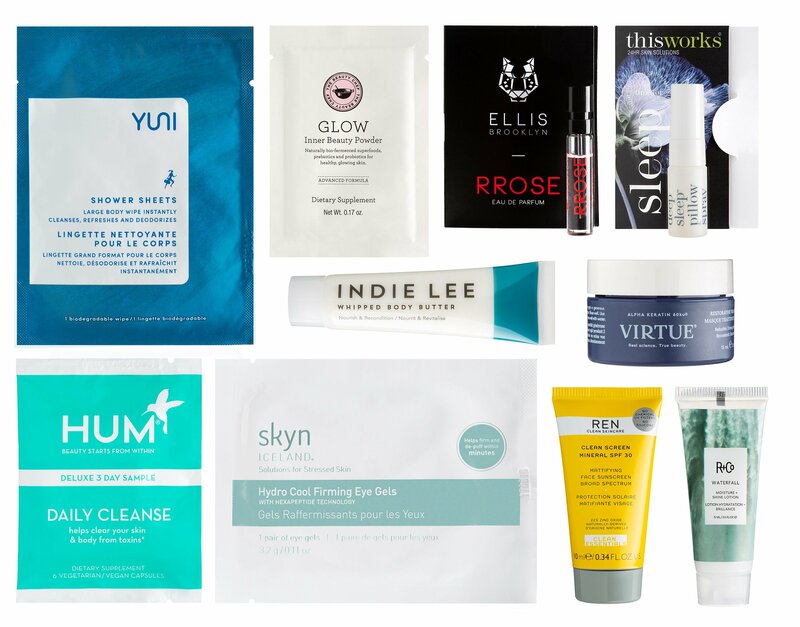 Hi everyone, there are 8 major beauty deals and limited edition beauty boxes at Alyaka, Barneys, Birchbox, Peter Thomas Roth, QVC, Macy’s, Clarins, Mugler, Stowaway and more. Macy’s They are offering up 4 Lancome Gift with purchase combo now! (5d) GIFT 1: Lancome Free 7-Pc Gift With $35 Lancome Purchase. Shop Now At Macys.Com! Valid thru 2/28! Plus get more gift up to $236 value! This post may contain affiliate links. Read the full disclosure.